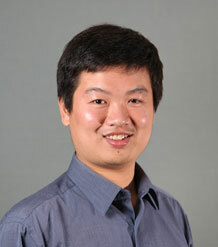 Dr Zhenxu Tong is a Senior Lecturer in Finance at the University of Exeter Business School. Dr Tong joined the Business School in 2006. He obtained his BA in International Finance at Fudan University and completed his PhD in Finance at INSEAD. His research interests include corporate finance, corporate governance, executive compensation, and Chinese economy. Dr Tong’s papers have been published in academic journals such as Journal of Banking and Finance, Journal of Corporate Finance, Journal of Business Finance and Accounting, and Finance Research Letters. Tong, Z., 2010, Deviations from optimal corporate cash holdings and the valuation from a shareholder's perspective, KPMG Global Valuation Institute Research Grant. Tong Z, Huang H (2018). LABOR UNIONS AND CORPORATE CASH HOLDINGS: EVIDENCE FROM INTERNATIONAL DATA. Journal of Financial Research Full text. DOI. Tong Z (2015). Labor Unions and Forms of Corporate Liquidity. Journal of Business Finance and Accounting, 42(7-8), 1007-1039. © 2015 John Wiley. &. Sons Ltd. We examine how the presence of labor unions affects a firm's choice of corporate liquidity between bank lines of credit and corporate cash holdings. We find that firms in industries with higher unionization rates hold a higher fraction of corporate liquidity in the form of bank lines of credit. We divide the firms into sub-groups and find that this positive relationship holds for firms that are not in a state with right-to-work legislation and for firms that are financially constrained. Our findings are consistent with the hypothesis that a firm chooses the forms of corporate liquidity to take advantage of the bargaining benefits associated with bank lines of credit. Tong Z (2012). Coinsurance effect and bank lines of credit. Journal of Banking & Finance, 36(6), 1592-1603. DOI. Tong Z (2011). Firm diversification and the value of corporate cash holdings. Journal of Corporate Finance, 17(3), 741-758. Full text. DOI. Tong Z (2010). CEO Risk Incentives and Corporate Cash Holdings. Journal of Business Finance & Accounting, 37(9-10), 1248-1280. Full text. DOI. Tong Z (2008). Deviations from optimal CEO ownership and firm value. Journal of Banking & Finance, 32(11), 2462-2470. Full text. DOI. Hou W, Lee E, Stathopoulos K, Tong Z (2016). Executive compensation and the split share structure reform in China. European Journal of Finance, 22(4-6), 506-528. © 2013 Taylor. &. Francis. The split share structure reform in China enables state shareholders of listed firms to trade their restricted shares. This renders the wealth of state shareholders more strongly related to share price movements. We predict that this reform will create remuneration arrangements that strengthen the relationship between Chinese firms’ executive pay and stock market performance. We confirm this prediction by showing that there is such an effect among state-controlled firms, and especially those where the dominant shareholders have a greater incentive to improve share return performance. Our results indicate that this reform strengthens the accountability of executives to external monitoring by the stock market, and therefore benefits minority shareholders in China. Tong Z (2014). Deviations from optimal corporate cash holdings and the valuation from a shareholder's perspective. Applied Economics, 46(30), 3695-3707. Full text. DOI. Tong Z (2010). Seasoned equity offerings, repurchases, and deviations from optimal CEO ownership. Finance Research Letters, 7(1), 29-38.